This Custom Built Solid Brick Home boasts serene landscaping, stunning features and custom upgrades throughout. 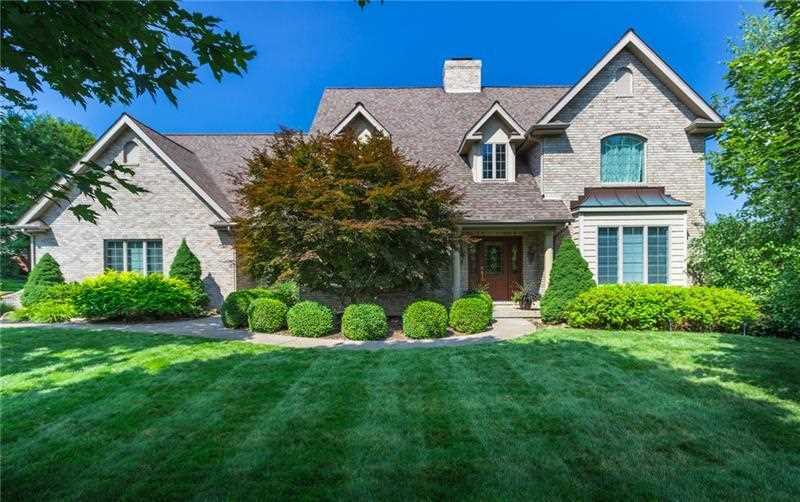 Located in highly desired Blackhawk School District, convenient to all major roadways and amenities, it is perfect for family and entertaining. With 6,000 sq ft. of living space, the 1st flr offers a spacious Foyer, Formal LR, Master Bed w/En-Suite Bath, Family Room, Kitchen w/Breakfast Area, Formal DR, 1/2 Bath, Laundry Room and garage entry. The 2nd flr has 4 bedrooms, 2 full baths and a 20x34 bonus room. The lower level is beautifully finished w/open flr plan, full kitchen and bath, fireplace, and large storage room. Highlights include a 2-story stone fireplace, vaulted ceilings, captain's walk that overlooks the foyer and family room, motorized Schonbek crystal chandelier, palladium window atop sliding doors that egress to the custom-designed stone patio, spacious closets and beautifully re-designed master bath. Please see Pictures and Descriptions for full details. Directions: Rt. 376W to Chippewa Exit, R onto Rt. 51, quick R onto Braden School Rd., R onto Braun Rd., L onto Shenango Rd., L onto Meadow Dr., home near end of cul-de-sac on R.
Listing provided courtesy of Howard Hanna Company Chippewa Office. I was searching for a Property and found this listing (MLS #1350165). I would like to schedule a showing for 141 Meadow Drive Beaver Falls, PA 15010. Thank you! I was searching for a Property and found this listing (MLS #1350165). Please send me more information regarding 141 Meadow Drive Beaver Falls, PA 15010. Thank you! MLS # 1350165: This property at 141 Meadow Drive, Beaver Falls, PA 15010 is located in the subdivision and is listed for $589,900. MLS # 1350165 has been on the market for 275 days.